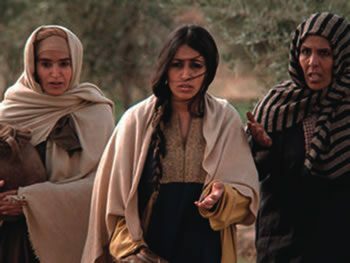 In 2016, recognising St. Mary Magdalene's role as the first to witness Christ's resurrection and as a "true and authentic evangeliser," Pope Francis raised the July 22 Memorial of St. Mary Magdalene to a Feast on the Church's liturgical calendar. Both the decree and the article explaining its significance were titled "Apostolorum Apostola" ("Apostle of the Apostles"). 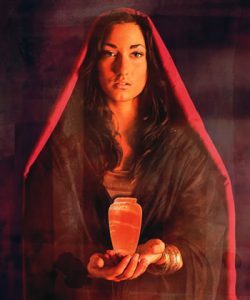 ssage of Easter," St. Mary Magdalene's feast day is a call for all Christians to "reflect more deeply on the dignity of women, the new evangelisation and the greatness of the mystery of divine mercy." Her tears at Christ's empty tomb are a reminder that "sometimes in our lives, tears are the lenses we need to see Jesus," the pope said. Pope Francis also mentions her specifically in the prayer he composed for the Year of Mercy: "Your loving gaze freed Zacchaeus and Matthew from being enslaved by money; the adulteress and Mary Magdalene from seeking happiness only in created things; made Peter weep after his betrayal, and assured paradise to the repentant thief." 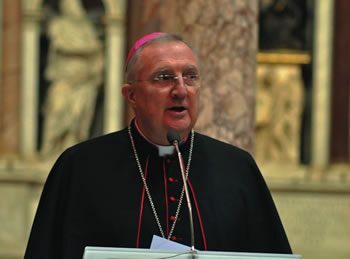 Archbishop Roche explained that in giving St. Mary Magdalene the honour of being the first person to see the empty tomb and the first to listen to the truth of the resurrection, "Jesus has a special consideration and mercy for this woman, who manifests her love for him, looking for him in the garden with anguish and suffering."